You’ve shed blood, sweat, and tears, but finally, your new business is up and running. It can take a lot of time and effort to launch a company, but the hard work really begins when it comes to attempting to lure in clients and get some orders in the books. 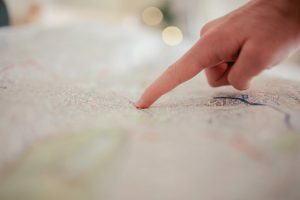 If you’ve got a brand new venture, and you’re keen to become the talk of the town, this guide will help you put your business on the map. When you’ve got a new business, you need to get the word out there and tell potential customers all about your company, what you sell, and how you could change their lives for the better. There are multiple ways of reaching out to clients and creating a buzz around what you’re doing. Here are some techniques you can try to get your name out there. Many businesses sell or promote services and products online. Even if you don’t actually plan to generate sales online, it’s hugely beneficial to have an online presence. The majority of us use the Internet to locate services and find products nowadays, and if you don’t have a website or a social media profile, you may be missing out on valuable opportunities to showcase your brand. Start off by designing a website. Your website is essentially a virtual shop front, which should provide your customer with all the information they need to ascertain what you do and why they should choose you. Make sure your website looks the part, and then focus on creating high-quality, engaging content, which provides answers to questions, and enables your customer to achieve what they want from their visit. If you’re selling items online, for example, the purchase process should be as fast and hassle-free as possible. If you’re promoting services, provide detailed but brief descriptions of what you do, and make it easy for clients to find out more. Include contact details and consider adding a live chat feature. FAQ pages are also really useful, as research shows that shoppers are likely to abandon their cart if they can’t find the answer to a question they want to ask before they commit to buy. Once your website is live, promote it and drum up interest in your brand by setting up social media accounts and building your following. Think carefully about the kind of content you want to share, and make sure your posts are relevant both to the brand and the target market. Use analytics to gauge the impact of different types of post, and pursue avenues that are appealing to your friends and followers. Another powerful tool is SEO. Search engine optimisation is geared towards improving your search engine ranking, and ensuring your links are visible at the top of the page. If you don’t know the first thing about SEO, it’s worth working with an SEO expert to spearhead your campaign. SEO can be incredibly effective, but it’s not guaranteed to bring you success. Your strategy should be aimed at the target customer, and the content you optimise should be fresh, creative and relevant to your business. If you’re launching a brand new business or you’re adding to your product range, events are a great way of getting the news out there and encouraging people to talk about your brand. If you’re opening a local business, for example, a salon or a restaurant, organising a launch party is an excellent way to let people know that you’re open for business and encourage them to come and have a look at what you do. Run promotions like a discount on your first treatment or a free glass of wine with every main course, and offer an incentive to recommend the business to others and to come back again. Get in touch with the local press, and share photos and details of the event on social media. If you’re setting up a new online business, or you have plans to reach out to buyers or customers around the country, it’s worth considering attending business events like trade shows or organising a product launch with buyers, bloggers and industry experts in attendance. If you’re exhibiting at a trade show, make a concerted effort to ensure your stall stands out. Offer free samples to get the crowds gathering, and be prepared to answer questions and offer deals for bulk orders. If you’re planning a product launch, choose a venue that suits the brand, and think carefully about the guest list. You want to invite people who have the power to make that product fly off the shelves. If you’re presenting or pitching, rehearse over and over again, and make sure you inject passion and enthusiasm. If you can’t show that you’re passionate about the product, it’s going to be very difficult to persuade others to take an interest. We may be obsessed with modern technology and spend hours on our phones every day, but that doesn’t mean that traditional marketing techniques are obsolete. Local businesses can still benefit from simple, cost-effective methods that target the local market, including press adverts, flyers, and adverts in community buildings. If you’re flyering, include details about the services you offer, your contact details including your website address, and a promotion to encourage customers to give you a shot. You could offer 10% off the first purchase, for example. If you’re on the cusp of launching a new business, the next step is to get people talking. There are numerous ways to spread the word, and it’s worth doing some market research to learn about which marketing techniques are most effective within your industry and the demographic you’re targeting. Embrace the power of online marketing, show off your new company at a launch event, showcase your products at a trade show and let locals know you’re open for business with flyers, leaflets, and magazine and newspaper adverts. Focus your campaign on customers who have a genuine interest in your company, and monitor its progress to identify the most effective marketing ploys.